Size: approx. 380mm x 510mm. From: ' The Theatre of the Empire of Great Britain'. Published by George Humble. 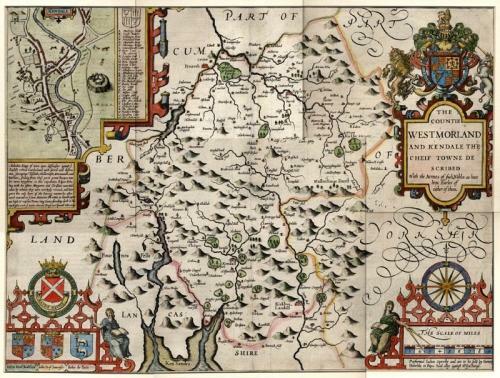 A hand coloured map with an ornamental strapwork title, royal arms and armorials and an inset plan of Kendal. The margins have been refurbished, but the map is in good condition with very bright colours.